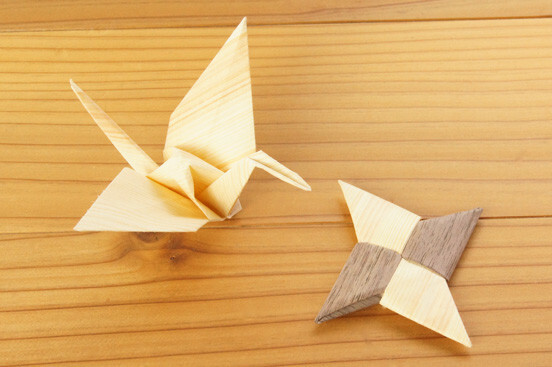 “Origami” is a traditional Japanese craft to fold paper into animal or plant shapes. 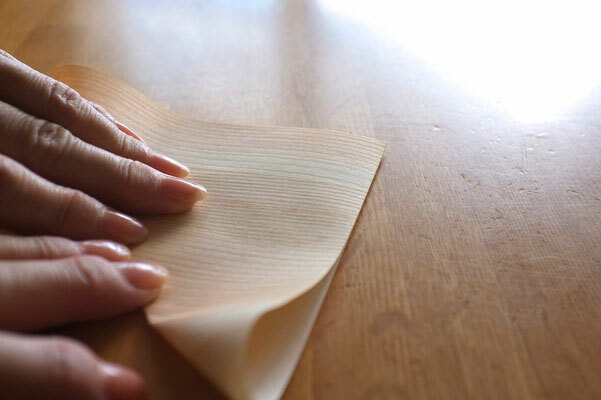 For this “ORIJYU”, the material is not paper, but sliced wood! You can actually feel the texture of the wood with the tips in your finger while folding. Origami, for the purpose of folding, should be as thin as possible while at the same time soft enough that it will not lose its shape. And, it should be noted, will always be cut in exact squares. The "Orijyu" sheet is about 0,15 mm thickness and a 15 cm square. The high technology is required to produce such thin wooden sheets. 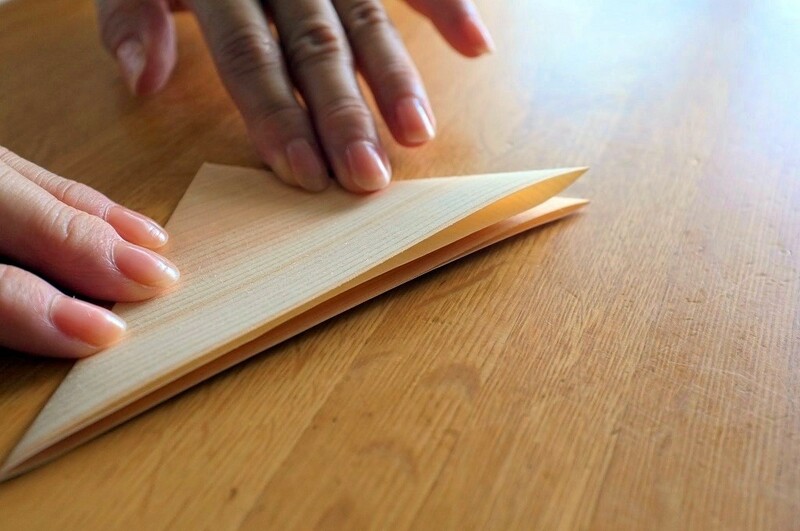 5 sheets of high quality Japanese wooden paper contains in a pack. Each sheet has a beautiful natural wood grain to show. This paper is also ideal for “fine” paper punches, collages, backgrounds, embossing and card making. papery wood from 3 different kinds of woods, 5 sheets in a pack. Since 2007, Big Will Co., has been effectively utilizing thinned wood produced by the owned forest as raw materials. They produce extremely thin wood board and also incidental building materials, interior products, stationery products and sundries from the natural or semi-natural wood. 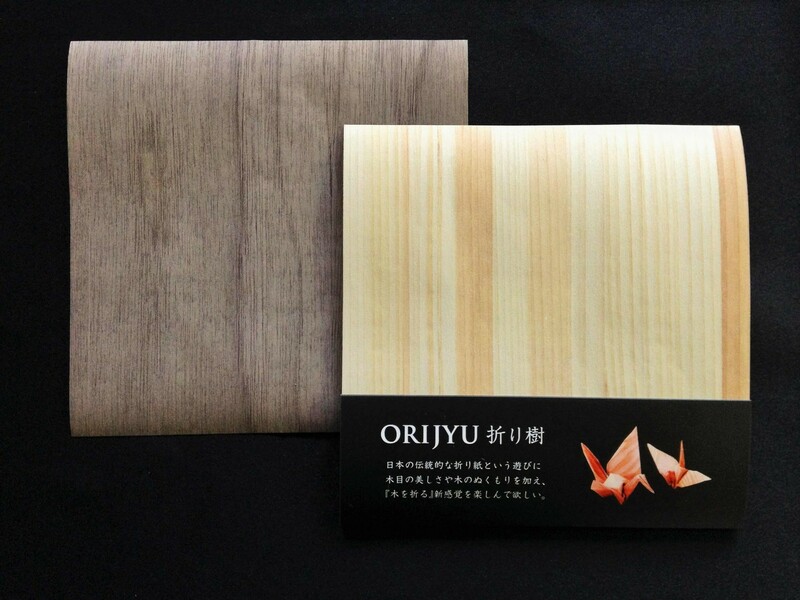 The "orijyu" is the thinnest wooden sheet in the warld, and a prize-winning product of Japan Wood Design Award in 2015. 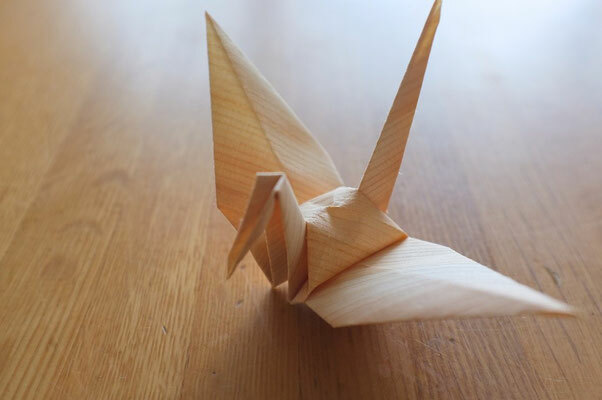 Origami (Japanese: oru = fold, kami = paper) is the old Japanese art of paper folding in which square sheets of paper are used to create artistic three-dimensional shapes without the aid of scissors or glue. Well known traditional motifs include flowers, animals and birds – mainly Tsuru (cranes) - as well as objects like Kabuto (warrior's helmets), boxes, etc. 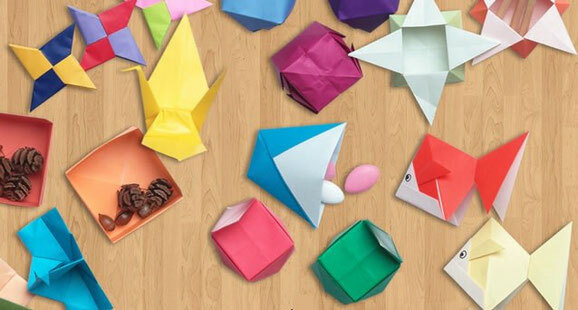 In the middle of the 19th Century origami was discovered in Europe to be a pedagogical teaching aid at the kindergarten level (the folding of paper promotes hand-eye coordination as well as a sense of geometry and precision). in automobiles in such a way we avoid that it won't split when it blews up.